7. These clownfish typically only exist in screensavers. 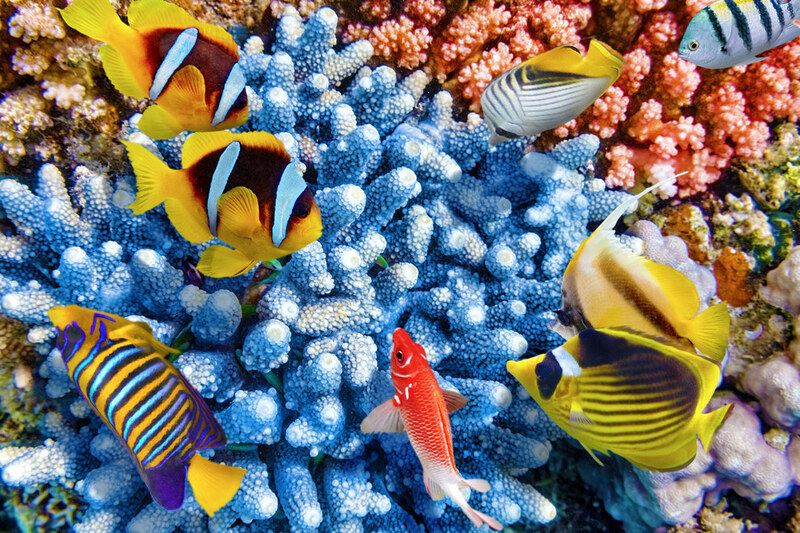 But they also exist in the Red Sea, along with the highly luminous royal angelfish, which you can spy in the bottom left.